Also available ~ Rifle / Shotgun hard cases. Next > MTM Pistol Cases. 11 x 7.25 x 2.5 inches / 280 x 185 x 65 mm. Long x wide x deep. For handguns, air pistols, BB or co2 guns. Also good for using as a scope / sight storage case. Lockable with padlocks (not included). 1½ inch thick block of foam egg case lining. 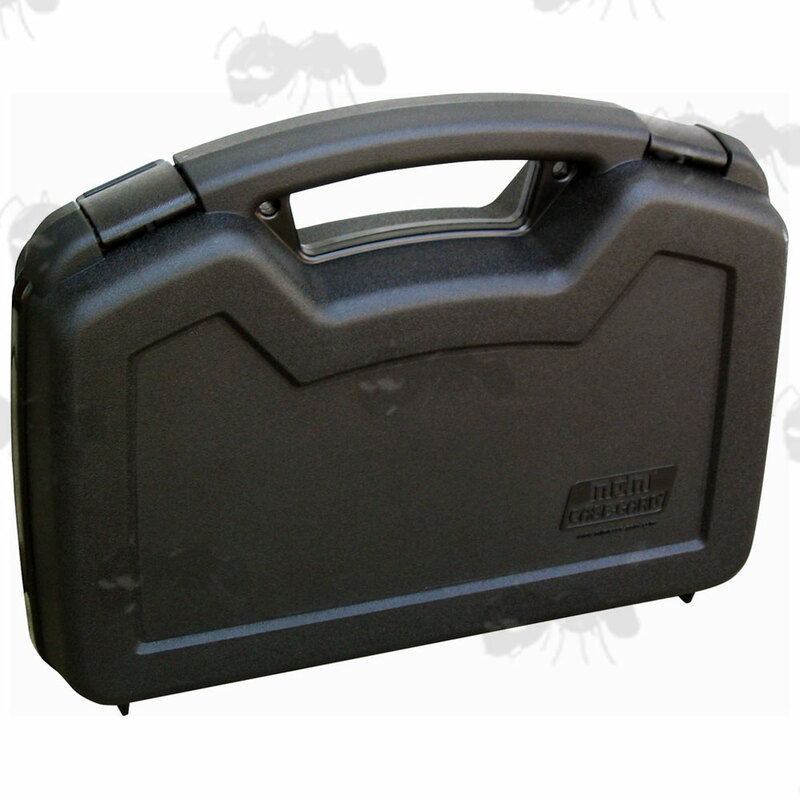 Heavy duty ABS case with four legs, two metal bar hinges and two secure sliding clasps. The depth is stated with foam removed. 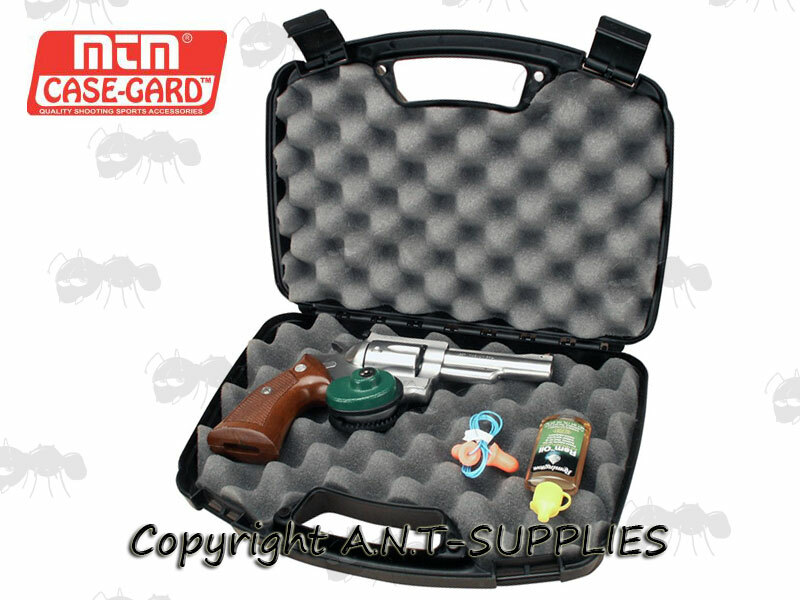 MTM Case~Gard is the leader in high-quality and innovative plastic handgun cases. Offering affordability, durable construction, stylish design, reliable snapping latches and large handles. 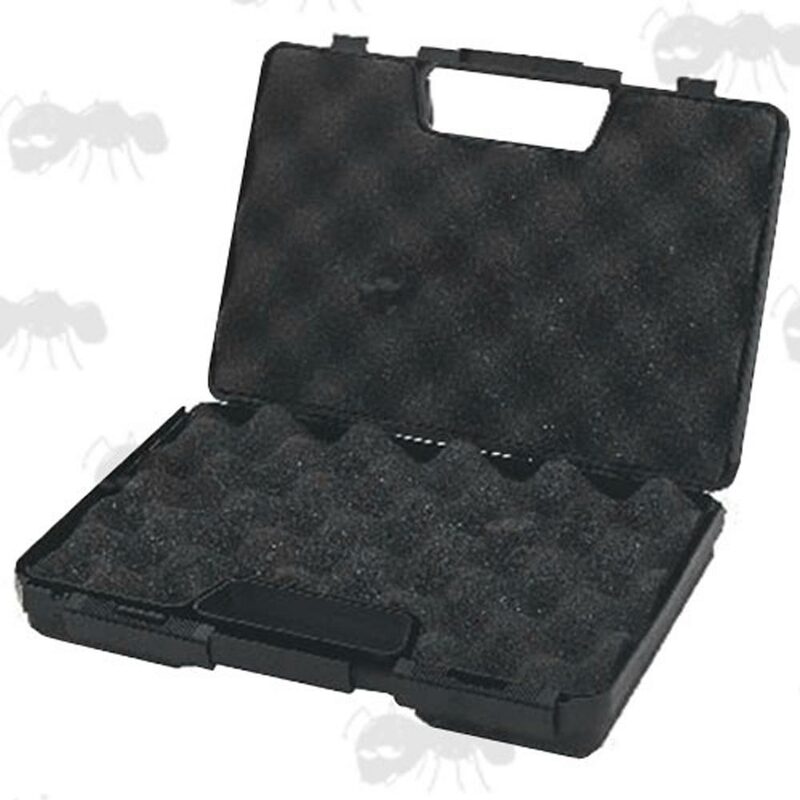 Each case is made of tough polypropylene with a scratch resistant finish. 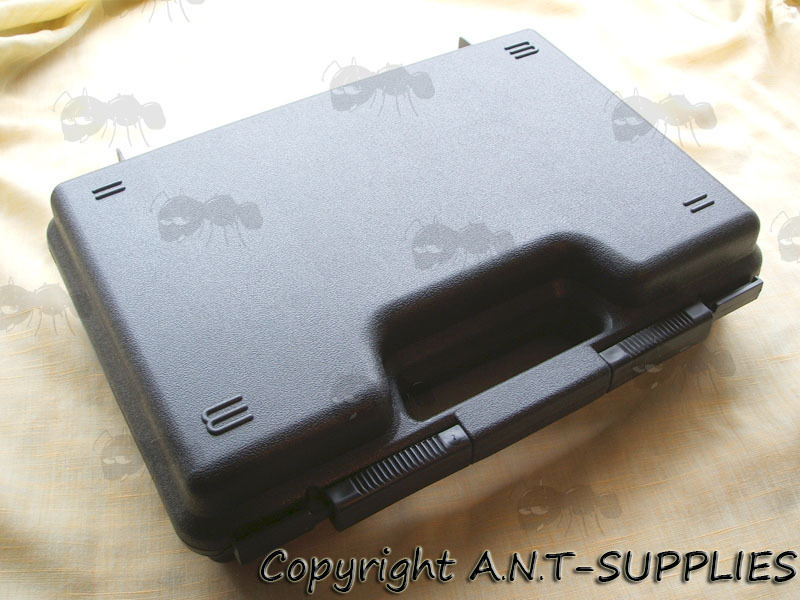 Thick foam padding and double padlock tabs are provided for the utmost in protective security. Stylish design, with large comfortable handle, four legs and super strong piano style hinges. The handles are split two piece design so to prevent inadvertent opening and can be fitted with two padlocks. Each case also has enough space to store a trigger lock or padlocks (not included). 320 x 200 x 78 mm. 2 inch thick block of foam inserts. This roomier pistol case is for automatics and scoped revolvers with barrels up to 6". Comes with a two-piece foam set.